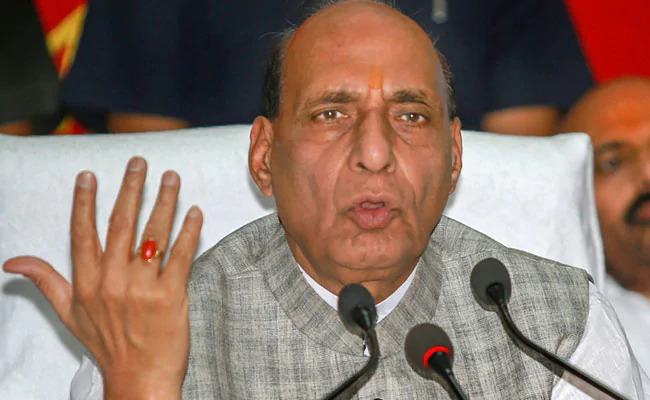 Union Home Minister Rajnath Singh plans to do shastra puja with the Border Security Force (BSF) at Bikaner House, Rajasthan near the India Pakistan border, according to a report published in Times of India (TOI). Singh had earlier participated in the shastra puja with BSF last year in Joshimath, Uttarakhand. This year, however, he will not only attend the festival, but also perform the shastra puja or the worship of weapons himself. The report says this is the first time that a minister will perform the puja. However, this is not the first time that Singh has performed such pujas in places where security tensions have been on the boil. In 2017, Singh celebrated New Year with the Indo-Tibetan Border Police (ITBP) troops, another paramilitary force, in the Nelong valley of Uttarakhand. The valley is also along the Indo-China border and this was just after India and China had managed to end the Doklam standoff on August 28. The standoff had begun on June 16 2016 when the People’s Liberation Army (PLA) of China began constructing a road in an area claimed by Bhutan. The standoff ended after the Indian army withdrew its soldiers and China stopped the construction. Celebrating New Year with the ITBP troops only meant escalating tensions between the two nations instead of fostering peace in the region. In such a situation, should the occasion of festivities be used to increase tensions? And, of all the people, should a union minister perform a puja? The central government is known for using Hindu religious practices in matters of government policy. The Indian and Pakistan armed forces, however, have shown greater wisdom in the past. In 2015, the Indian and Pakistani armies exchanged sweets on Diwali. More recently, in 2018, the two armies exchanged sweets on Id-ul-Azha along the Line of Control (LoC) in Poonch district of Jammu and Kashmir. The central government’s attempts to use the army for political gains have not always gone down well with the latter. The Ministry of Defence has given permission to the Bharatiya Janata Yuva Morcha (BJYM), the youth wing of the ruling Bharatiya Janata Party (BJP), to hold its convention from October 23 to October 28 at the Bison Polo Ground in the Secunderabad Cantonment, Hyderabad. Madam @nsitharaman May pls put a check. On the other hand things kept intact are being opened 4 their use. On another note, the clear choice of a Brahmanical ritual over others by a union minister shows the bias towards Brahmanical Hinduism in a state that is “secular” according to the Preamble of the Indian constitution. Within the diverse practices of the Hindu religion, the eating customs of Bengali Hindus, Jains and other Hindus in Gujarat came to a collision when Bengalis were disallowed to cook non-vegetarian food in Ahmedabad. The central government has a history of covertly supporting violence against meat eaters in India. Since 2014, this has given rise to cow protection units across Northern India, members of which have killed many people — the majority of them Muslims— they’ve suspected of killing and eating cows. The opposition to certain ritualistic practices of the Hindu festival has also come from organisations which see themselves as being outside of Hinduism. The latest manifestation of this opposition has come from the Bhim Army. The Pune unit of the Bhim Army, according to a report published in The Indian Express, has submitted a letter to the Pune City Police, Special Branch, saying that burning Ravan’s effigy, or “Ravan Dahan” as it is more commonly known, hurts the sentiments of those from the Scheduled Castes and Scheduled Tribes of India, who comprise 25.2 percent of the Indian population, according to the 2011 census. They have demanded that the police lodge complaints against those who perform this ritual under the Scheduled Castes and Tribes (Prevention of Atrocities) Act. 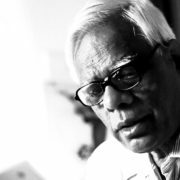 In such a situation, Singh’s decision to perform a Brahmanical ritual in praise of weapons of war shows that the Home minister in particular, and the government of India in general, do not care for building peace in the subcontinent.